I made this really simple, unusual, clean and fresh tasting vegetable dish the other night that I wanted to share with you. It’s so simple, it’s stupid. But I thought that sometimes we don’t always think of things when we’re rushing to satisfy hungry stomachs at the end of a very busy day. And I am always looking for new flavor combinations with veggies, just to take them up a notch. Aren’t you? 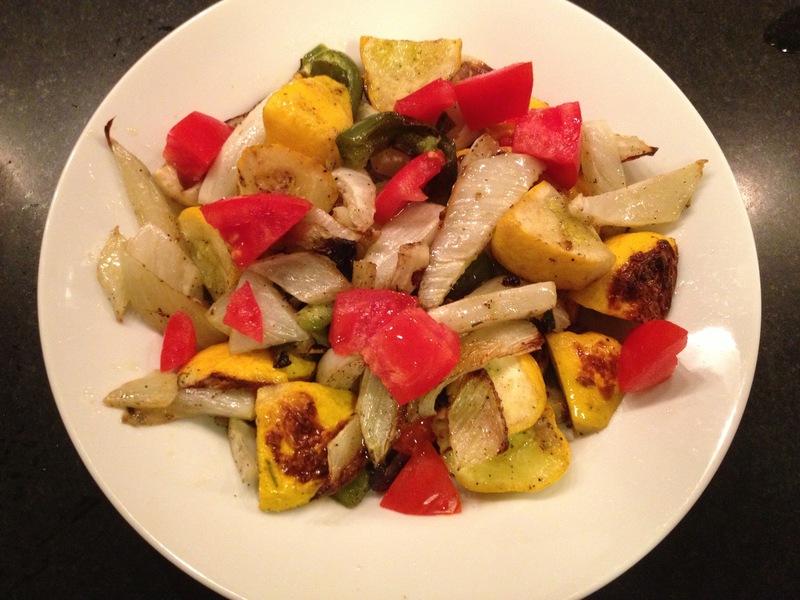 Now this combination of roasted patty pan squash with fennel, green peppers and tomatoes was just fantastic! It was different and just look at how pretty it was! I added the tomatoes at the end for color but of course they added taste too. The local farmer’s markets are dwindling down with product assortment, but there is still squash and the most robust smelling green peppers and actually, the fennel I got at the grocery store. Try this combo – if all of your ingredients are really fresh, it’s divine! Preheat oven to 425 degrees. Combine the squash, fennel and green pepper on a rimmed baking sheet. Drizzle with the olive oil. Salt and pepper to taste. 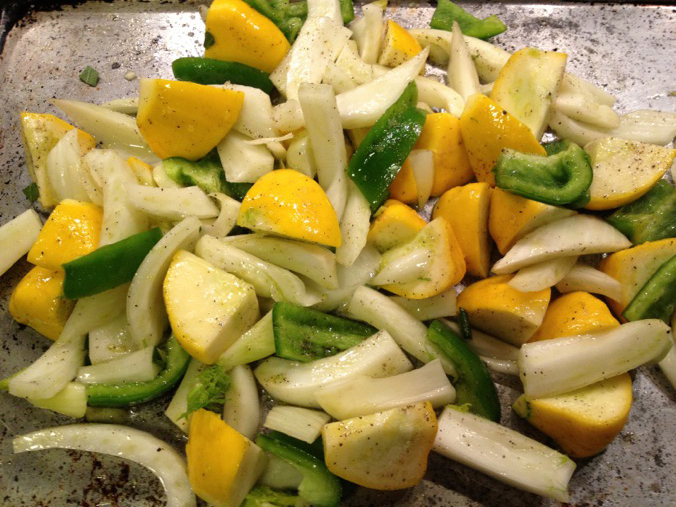 Toss to thoroughly combine and roast for 20 – 30 minutes until squash is just fork tender. Place in a serving bowl and fold in the tomatoes to warm them up and serve with LOVE. I find that all vegetables roasted at a high heat are great! Just a little olive oil and salt and pepper is all you need. All those veggies look so delicious together! Delicious. The road side stalls here are full of squashes and pumpkins of every shape, size, deformity and colour. Roger Stowell recently posted…Up close and personal with a cultivated beauty…. LOL! Well this patty pan squash is more like a long yellow squash or zucchini, not like an acorn, just to clarify. What a beautiful plate of roasted vegetables. It is my favorite way to eat vegetables, especially the fall variety. Lovely color combination also. Thank you Jovina!! My favorite way too! Love patty pan squash and what a wonderful vegetable combination, love the fennel in the mix and roasting vegetables is my favorite way to prepare them. Up until very recently, I didn’t realize that these little squash were edible. I thought they were for ornamentation alone. Your recipe looks delicious and I can’t wait to give it a try. Thanks for sharing it with us. Oh yes – these are very much like the long yellow squash or zucchini. Hope all is well with you John! Gonna trick him this evening with all those veggies ! 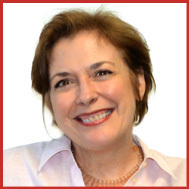 Hi Francesca! How did it work out? I love roasted vegetables. Yours look delicious. Me too! That’s what I thought was my clever idea! Of course I love roasted fennel just by itself. Thick slices are the grill are divine.